Relax! Let us do the yardwork for you. Sunrise began in 1980 as a residential mowing service operated by two energetic David Lipscomb graduates, Bob Wellerding and Steve Gaines. They began with some weedeaters, blowers, and two riding mowers. With an attitude and desire to give their customers the best possible service, their client base grew quickly. That commitment together with design improvements by equipment manufacturers led Bob to develop the technique of edging sidewalks and beds every time that the grass was cut. This wasn’t being done in the Nashville area by most of the mowing services. It has since become standard practice for everyone in the industry. Many of Bob’s commercial clients desired to have their landscaping needs be met by a single contractor and so Sunrise began providing a full range of maintenance services including mulch installation, shrub pruning and leaf removal, to name a few. In 1984, Sunrise designed and installed their first large landscape project for a development by John Thweatt and Gianikas Contractors. In 1986, Sunrise added irrigation installation to its package of services. Most of the early installation contracts were with existing maintenance clients. with the completion of a total landscape renovation at country singer Lee Greenwood’s house, the landscape division was quickly established as a permanent part of the company. Bob is licensed and certified with the State of Tennessee in Category #3 and Horticulture lawn and turf. He is a Tennessee Certified Nursery Professional and also holds a Ltd. Electrician License with the State of Tennessee. Brad is our Operations Manager, and he oversees all of our maintenance crews. He is a certified pesticide and chemical technician. 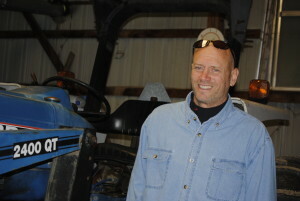 Brad has worked in the landscape industry since 1990 and has been with Sunrise since 2001. Brad is married and has one son. He is a huge Kentucky Wildcats fan. He is the backbone of our day to day operations. Julie is Office Manager for Sunrise. She brings a world of experience to the Office, handling customer information, vendors, payroll and various activities to help Sunrise become more efficient and successful. With over 35 years of experience in the landscaping and horticulture industry, Ralph is excited to be a part of the Sunrise team. Ralph is licensed and certified with the State of Tennessee in Category #3 and Horticulture lawn and turf. He is certified as a Master Gardener and is also certified as an installation specialist for both Rain Bird Irrigation and Vista low voltage lighting products. Ralph enjoys barbequing and woodworking and is a proud Vanderbilt Commodore and Chicago Bears Fan. Ralph has been married 30 years and has 3 wonderful daughters. Robin helps keep everything running smoothly in the office while providing maintenance to a few select properties. She has been with Sunrise since 1986 and is the backbone of Sunrise. 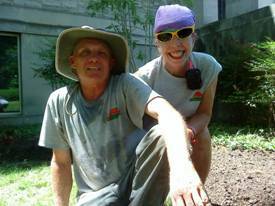 Charles has 28 years with Sunrise and virtually all his life in the landscape field. He handles the annual color plantings both spring and fall, tractor work, and many various services as well as meeting with customers and HOA’s to help meet their needs. The Flowermart by Sunrise provides a one-of-a-kind shopping experience customers have come to expect in the Green Hills area. The store, which specializes in annuals, perennials, tropical plants, landscaping materials, planters and insecticides is home to the area’s only Garden Center, which allows for customers to pickup their gardening materials and supplies at a great cost, convenient location and with the expert advice and customer service that they won’t receive any where else. Four Springs Farm Ministries is a registered 501c3 that exists to create inspirational and educational experiences for kids of all ages. Our priority is to help kids learn valuable life lessons from nature and agriculture while creating time for parents to spend with their families learning, laughing and growing together.